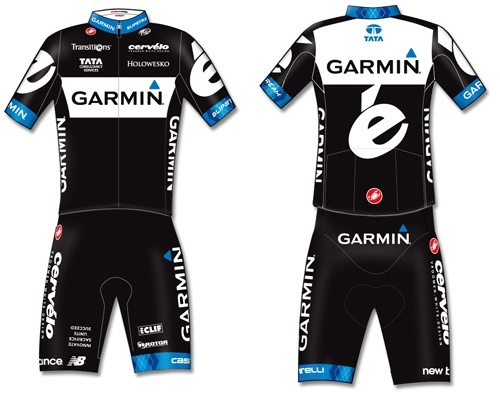 US-based ProTeam Garmin-Cervelo announced its full men’s and women’s team rosters on Monday and released full details of its 2011 team clothing. Both the Garmin-Cervelo men’s and women’s teams boast a host of strong riders and a wealth of British talent including Roger Hammond, Daniel Lloyd, David Millar, Emma Pooley, Lizzie Armitstead, Sharon Laws and Lucy Martin. The men’s line-up is an amalgamation of the 2010 Garmin-Transitions and Cervelo teams, and presents a strong team for classics and Grand Tours alike. Thor Hushovd has said that he will concentrate on this year’s spring classics and support sprinter Tyler Farrar in a bid for the Tour de France green jersey against the likes of Mark Cavendish (HTC) rather than contest it himself. The team’s grand tour aspirations will be met by 2010 Tour de France revelation Ryder Hesjedal and Christian Vande Velde. The Canadian former mountain biker finished seventh overall after a consistent performance throughout the whole race – his reward was an extended contract with the team through to the end of 2013. Vande Velde will undoubtedly be hoping to put behind the crashes and injury of the previous two years to realise his potential after finishing fourth overall in the 2008 Tour de France. The squad also continues its traditional strength in events against the clock, with Scot David Millar enjoying arguably his best season yet in 2010 taking Commonwealth time trial gold and silver behind Fabian Cancellara in the World Championship. The men’s team will make its first outing at the UCI WorldTour season opener at the Tour Down Under later in January where Farrar will come up against sprint rivals Cavendish and Andre Greipel (Omega Pharma). Cycling Weekly’s top British rider of 2010, Emma Pooley, is part of the 10-rider Garmin-Cervelo women’s team largely inherited from Cervelo. World time trial champion Pooley and Armitstead racked up an enviable list of wins during last season, and the team as a whole is recognised as the squad to beat in any event it takes part in. The Cervelo team disbanded at the end of the 2010 season after failing to find a lead sponsor to fund the squad. Subsequently, Cervelo replaced Felt as bike supplier to the Garmin team and several of the riders signed up to the new team. “For the men, we have one of the strongest lead out trains in the peloton along with one of the strongest Classics line-ups. The women’s squad brings a wealth of experience and honours and we are incredibly excited to see what they do on the road this year. What happened to the Argyle Army? 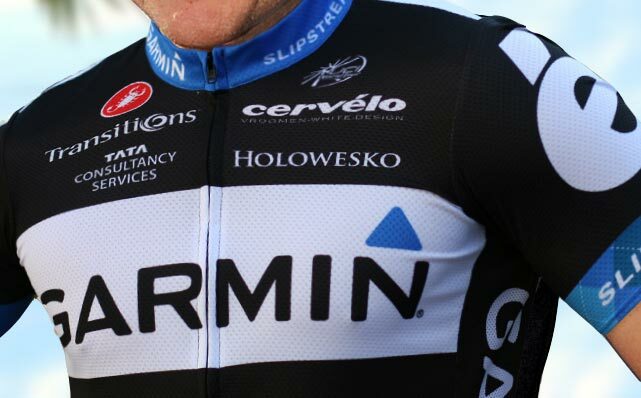 Garmin-Cervelo released a sneak picture of its new team jersey in November, and has now released full details of the full clothing range. The distinctive Argyle-inspired design elements of the previous orange, blue and white Garmin kit has been reduced to a small patch on the blue cuffs and collar, with Cervelo’s black and white taking up most of the colourscheme. With both the previous Garmin and Cervelo team strips being two of the most popular replica team clothing among race fans, the new strip was hotly awaited. 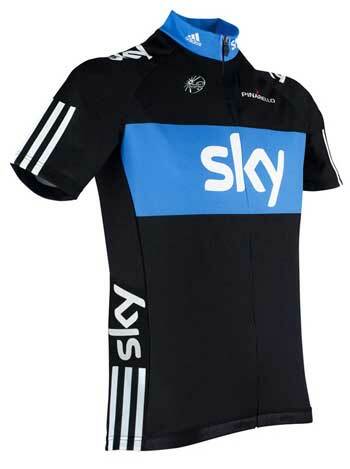 However, many fans have expressed disappointment with the new design saying that it is overly similar to the current Team Sky strip. Both squads now have black-based clothing with blue and white highlights, and you have to wonder how distinct the teams will look when mixed up in the peloton. Perhaps Garmin-Cervelo will take on Cervelo’s summer tactic and reverse out the black and white elements for the Tour de France.